With their deep magenta flesh and bright burst of citrus flavor, blood oranges offer a much-needed reprieve from winter. 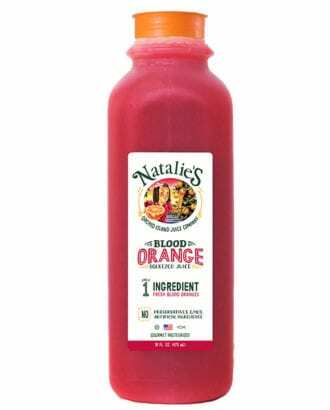 And while it’s hard to beat fresh-squeezed, Natalie’s Orchid Island Juice Company comes pretty darn close with a full line of single-ingredient, fresh-pressed citrus juices. The Florida-based company extended their reach a bit for the newly released blood orange juice, sourcing and squeezing 100-percent Sicilian blood oranges. Their juice offers the perfect balance of sweet and tart, and while it’s delicious on its own, we also have our eyes on cocktails like this Blood Orange-Cinnamon Margarita.